The incidence of diabetes in small animals has almost tripled over the last 30 years in the western world. In the UK, it is estimated that around 30, 000 dogs and 111, 000 cats are affected.1,2,3 Accurate monitoring of blood glucose levels is essential for managing diabetes. It can be hard to spot behavioural changes in dogs/cats, and so diabetes is often diagnosed at a very late stage. The animal could go into a state of ketoacidosis, a condition that follows hyperglycaemia. This can be life-threatening if treatment is not given within a few hours. Whilst urine analysis is useful for diagnosing diabetes, it is not as useful for monitoring the condition compared to blood analysis. Blood glucose analysis enables accurate quantification of the blood glucose levels, which is important if insulin dosing is required. Without accurately knowing the blood glucose levels, it can be dangerous to administer insulin. 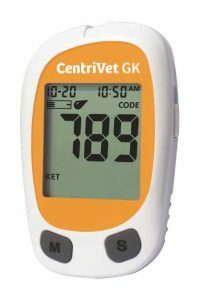 The CentriVet™ GK Blood Glucose and Ketone Meter is specifically calibrated for both dogs and cats, supported by extensive accuracy studies. Test strips are available for both glucose and ketones, each coming with a calibration chip for the specific species. Portable and easy-to-use, the CentriVet meter is useful for home testing. Some pets can get anxious and stressed when visiting the vets, which can affect their blood glucose levels. Home side testing is convenient for everyday monitoring, and can be more comfortable for the animal. Just a small volume of blood (0.8µl) is required for each test, which can be easily and painlessly obtained using our safety lancets. The best sites for taking a blood sample from cats and dogs are from the ear or paw. Learn more about the CentriVet™ GK Blood Glucose and Ketone Monitoring System here. Centrivet products are distributed exclusively in the UK by Rapid Labs Ltd. Please get in touch if you would like to order this product and we will be happy to help. 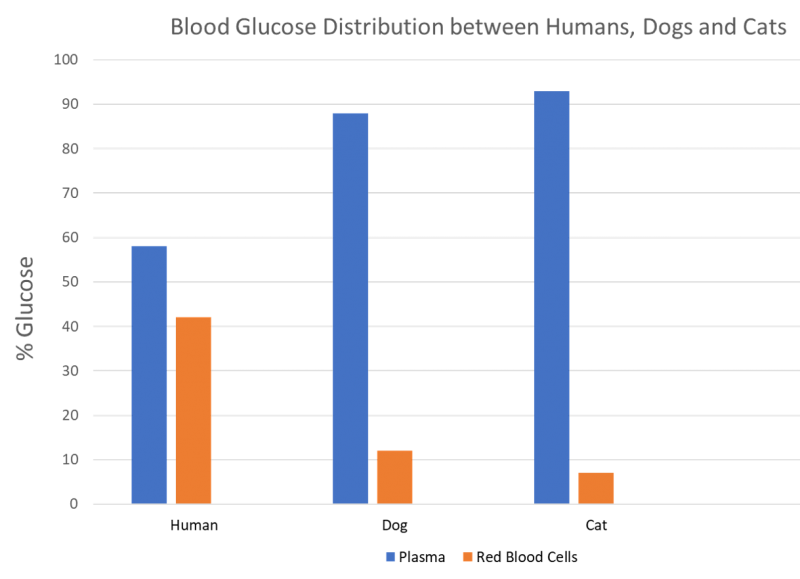 Blood glucose reference ranges vary between breeds and individuals. Always consult with your vet for advice on the appropriate glucose ranges for your pet. 3.PDSA Animal Wellbeing (PAW) Report (2018).